The EPIC Administrators are an efficient, highly motivated team of individuals dedicated to bringing our doctors the state of the art management services. Through our specially designed in-house Extranet, EPIC physicians can access through their PC both personal and company-wide information, ranging from schedules and vacations to payroll and pension plans. Bob Parker received his undergraduate degree from Brigham Young University in Operations and Systems Analysis in 1984. He went on to complete his Masters of Public Health in 1986 at Yale University where he focused on Hospital Administration. He has worked at the Greenwich Hospital in Greenwich, Connecticut; at Charter Medical Corporation Corporate Offices; at Middle Georgia Hospital and was the CEO for Brigham City Community Hospitaland concurrently the COO at Ogden Regional Medical Center. During his last two years at Brigham City, his hospital was recognized as one of the "Top 100 Hospitals: Benchmarks for Success" for fiscal years 1994 and 1995. He was an Assistant Professor at Weber State University in Health Services Administration and worked in the real estate development and retail industries before joining EPIC. 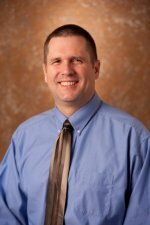 Craig Stout received his bachelor degree in Finance from Weber State University in 1991. He subsequently earned his Master of Healthcare Administration and Master of Business Administration from the University of Minnesota in 1994. He has worked at Scottsdale Healthcare as a Vice President of Operations; at Vector Management as a healthcare consultant; and at South Towne Surgery Center as the Administrator/CEO. He helped establish the Utah Ambulatory Surgery Center Association and served as Vice President from 2004-2006. He is also a recipient of the Early Career Healthcare Executive Regent's Award from the American College of Healthcare Executives. Craig and his wife Chris have been married 27 years and have three children. Craig enjoys playing golf, fly-fishing, tennis, racquetball, and riding dirt bikes with his sons. Michael W. Hansen graduated in 1996 from Weber State University with a B.A. degree in Accounting and minor in Japanese Language Studies. 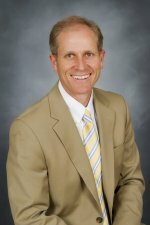 Since 1998, he has worked exclusively at health related companies; including, the Huntsman Cancer Institute and Rocky Mountain Care. Michael has participated in the Institute of Management Accountants and Health Finance Management Association. Leisure time finds Michael rock climbing in the mountains and deserts throughout the intermountain west, actively supporting his wife’s tennis addiction, and regularly visiting Japan. 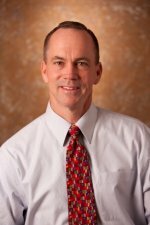 Dr. Roger Perry currently serves as an Emergency Physician at Pioneer Valley Hospital and Lakeview Hospital. Dr. Perry received his Doctor of Medicine in 1973 at the University of Utah College of Medicine in Salt Lake City, Utah after graduating from the University of Utah with a Ph.D. in Pharmacology. Running, skiing and working with computer technology are some of Dr. Perry's favorite activities. Sherri Zaelit traveled and sojourned in Europe while working as an Executive Sales Assistant, for Italian Ski Manufacturers importing ski wares to the USA. For several years, she was part of a building materials manufacturing company, located in Salt Lake County. She was the Executive Assistant to the president, while she successfully performed many managerial positions within the company throughout the years. 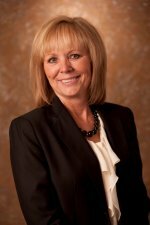 Teri Ball worked at Pioneer Valley Hospital for 13 years gaining experience in a wide variety of areas. In 1995 she began working for Western Emergency Physicians, implementing a new process in reviewing their documentation and submitting charts to the billing company. When EPIC was formed she came on board as the Collator Supervisor and has trained personnel and implemented this position at all the EPIC hospitals. She completed the Institutional Certificate in Health Care Coding through Weber State. She is currently the Director of Process Management which covers many areas from chart audits and chart flow to new physician orientations. She and her family love to golf. Urvi Shah graduated in 2006 from Gujarat University, India with a Bachelor degree in Business Administrative and in 2012 completed her professional qualification in Accounting from United Kingdom. Before joining EPIC as a Senior Accountant, she used to work for a accounting firm in London. She likes to go for hiking, biking and snow-boarding with her husband and friends.